With the increasing number of motorcycles on city streets here in the Bay Area, it's rare to turn on the news and not see word of a motorcycle accident in San Francisco. And while the causes of motorcycle accidents in San Francisco are more common than others, it's impossible to pigeonhole these horrific accidents into any sort of order. Each and every motorcycle accident has to be treated as its own particular tragedy because the details of every crash are so unique. It's not uncommon to hear of motorcycle accidents caused by collisions with large trucks. Why? These big vehicles are difficult to maneuver, have large blind spots, and often take up more of the road than the driver realizes. For example, on July 19th of 2017 a fatal motorcycle crash in San Francisco claimed the life of a young man. The accident occurred in the Japantown neighborhood of San Francisco, near the intersection of Geary Boulevard and Laguna Street around 9 PM. The victim, identified as 29-year-old Jacob Mizelle, was killed when the bike he was riding collided with a truck. The truck was turning at the time and police officers investigating the San Francisco motorcycle crash suspect that the driver failed to see the motorcyclist. While the death of the operator was an absolute tragedy, his passenger survived. She was rushed to a nearby hospital with life-threatening injuries. The driver of the truck stayed at the scene of the crash and reportedly cooperated with investigators. There were no criminal charges filed in this case—which, unfortunately, is often how the aftermath of a terrible motorcycle accident plays out. In cases such as this when it's often only the bike rider's word against the operator of the motor vehicle, it can be hard for motorcyclists to be taken seriously. Beating the bias against bikers is difficult to do but necessary if you are to claim the justice and fair compensation you deserve. Often shaking off that stigma requires providing overwhelming evidence to insurance adjusters, defense attorneys, and judges. You can’t always do that by yourself. The San Francisco motorcycle crash mentioned above wasn't the first in Japantown. On December 11th of last year (2017) a motorcyclist from San Jose was killed in the neighborhood when he collided with a PT Cruiser. The fatal motorcycle accident occurred at the intersection of 10th and Washington Streets and ended with the bike and the rider tossed into the fenced front lawn of a residence. A detailed investigation of this particular motorcycle crash in San Francisco's Japantown revealed the motorcyclist was traveling on 10th Street and the car on Washington. That's important because there is a stop sign on the Washington Street side while the 10th Street lane is treated as a throughway. That begs the question: did the driver of the automobile stop at the sign? Did they see the motorcyclist? Did they misjudge the distance between the two vehicles? No criminal charges were filed. However, because the automobile was required to stop for oncoming traffic, proving liability in this case would have been significantly easier. In an eerily similar motorcycle crash in San Francisco, a 32-year-old man from Pittsburgh was killed on May 14th of this year when his bike collided with a Chevy Cruze after the car failed to yield the right of way. The bike was traveling south on Alves Lane in Bay Point when the vehicle pulled out in front of him. The victim was unable to stop in time and collided with the car. He was thrown from his bike and killed instantly. It's far too common to hear horror stories about automobiles running into (and over) motorcyclists. 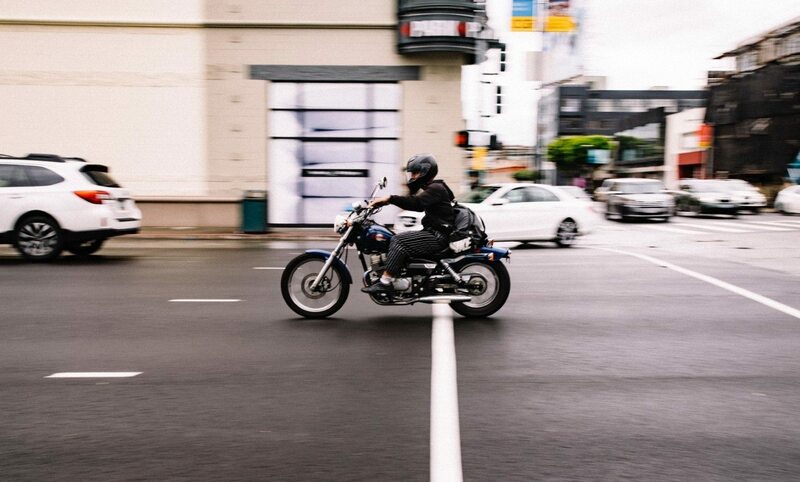 In fact, in a majority of motorcycle accidents in San Francisco caused by collisions between bikes and cars, the driver of the automobile is found to be at fault more often the motorcyclist. That doesn't make the loss of a loved one any less devastating but it can make the financial recovery process easier for surviving victims. San Francisco Motorcycle Accident Experts! 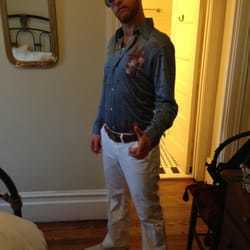 "I was in a serious motorcycle accident that was not my fault. It has been a stressful and scary year. But one of the comforts through it all has been the services that Sally Morin provided. While I was focused on my health, she was taking care of everything else." Experience a serious motorcycle accident in San Francisco? Stressed about making a motorcycle accident claim? Check out our San Francisco motorcycle accident page to learn what to do next. One of the sad causes of motorcycle accidents in San Francisco is the hit and run accident. One such fatal San Francisco motorcycle accident happened in March of this year when 29-year-old Marie Noelle Sigenthaler was struck by not one but two motorists while she was riding her motorcycle on highway 101. Eyewitness reports show that an unidentified vehicle struck Sigenthaler's bike from behind. She was thrown off the motorcycle and landed in the path of another vehicle. She was killed instantly. The driver of the second car stayed on scene until police arrived. The car that hit the victim first fled. Getting justice (and financial compensation) for victims and surviving family members of bikers killed in hit and run motorcycle accidents in San Francisco can be extremely difficult. However, it can be done. With an experienced motorcycle accident lawyer in San Francisco on your side, you have access to investigative tools and resources that the SFPD simply doesn't. While it is up to police to catch offenders in hit and run crashes, having an independent team of investigators looking into the crash, searching through traffic and security cam footage, interviewing eyewitnesses, and tracking down leads only increases the chance of identifying the criminal. And once that criminal is caught, your lawyer can help you get the maximum amount of compensation from them or their insurance company. But sometimes it's not a driver that's at fault at all. The cause of motorcycle accidents in San Francisco is increasingly related to technology. San Francisco is really a hotbed for the automated automobile industry with big companies like Uber, Google, and more testing driverless vehicles on city streets every day. With all that progress it's inevitable that these autonomous vehicles are bound to cause accidents big and small. Late last year one such vehicle (owned and operated by Cruise) struck a motorcyclist after changing lanes in Lower Haight. The vehicle was traveling in the middle lane of a three-lane section of one-way street when it attempted to change lanes. When the gap it had been aiming for closed prematurely, the car merged back into its original lane. Unfortunately, a motorcyclist that had just split lanes was occupying the previously vacated spot. Thankfully, because the car was in tight traffic in a busy section of San Francisco, the autonomous vehicle was only traveling at 12 miles per hour. However, the collision caused the motorcyclist to lose control of his bike. The victim as able to walk away but went to the hospital to be checked for arm and shoulder pain. In a statement from the company which owned the driverless car, officials said that SFPD investigators had determined that the motorcyclist was at fault for the crash. The law in California concerning lane splitting is extremely difficult to interpret and leaves much to the imagination. Proving that you were not at fault if you've been injured in a lane splitting accident in San Francisco can be next to impossible without professional help. But there are things you can do to ensure you get the compensation you justly deserve. If you've been injured in a San Francisco motorcycle crash, information is power. You need all that you can get. We've been helping victims just like you recover financially after terrifying motorcycle accidents in San Francisco for over 20 years. We've compiled a helpful list of tips and information you can use to help speed your recovery along and get your life back to normal quickly with or without the help of a lawyer. Because no matter how serious or trivial your injuries are, getting back on your feet is always your top priority. At Sally Morin Personal Injury Lawyers we've handled cases related to all of the common causes of motorcycle accidents in San Francisco. We know how to fight for motorcyclists' rights to get them the maximum settlement they deserve. Find out if we are a good fit for you and your case. Or, learn how the process works if you choose us as your SF motorcycle lawyers. What Time of Day Do Most Motorcycle Accidents Happen? Were You Injured in an SF Bay Area Motorcycle Accident?